Dr. Gwendolyn Steffen DVM is a full-service veterinary medical facility offering both traditional and alternative veterinary medicine. Our goal is to give your pet a long, happy, and healthy life. Dr. Gwendolyn Steffen and her professional staff seek to provide the best possible medical care, surgical care, and dental care for your pets. We are committed to promoting responsible pet ownership, preventative health care, and health-related educational opportunities for our clients. Raised in rural Campbell County, Dr. Gwendolyn Steffen received her B.S. from Northern Kentucky University before studying abroad to receive her D.V.M. from Ross University School of Veterinary Medicine on the island of St. Christopher and Nevis. Dr. Steffen has never known life without an ever-present menagerie of animals to enrich her experiences. 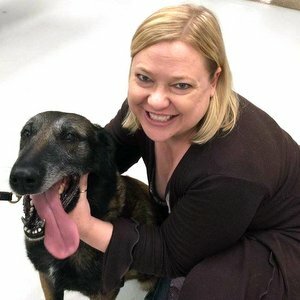 From within her own tristate, to Oklahoma, to St. Kitts, to Newfoundland, to Greece, Dr. Steffen has interacted, globally, with people who love animals so that she may better understand the depths of the relationships and the cultural values held in areas way beyond the scope of her textbook and clinical training. As the new owner of Dr. Gwendolyn Steffen, LLC, Dr. Steffen now incorporates holistic approaches that envelop the more traditional methods to practicing veterinary medicine. Dr. Steffen also gives of her time and energy to move beyond the walls of her veterinary practice. 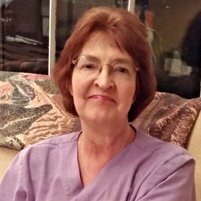 She has provided relief work to veterinary clinics/hospitals in various locations along with donating her time and skills to help animal shelters and other organization in the tristate area with spays and neuters. She has established and facilitates a lucrative fund-raising event, The Blu Cat Benefit, annually since 2009 to benefit local no-kill, non-profit animal rescues. Dr. Steffen is a level II Reiki therapist and is the only veterinarian in the United States certified in Chiro + Kinesiology. She is trained in the Doterra essential oils, Standard Process, and Vetri Science nutraceutical product lines. Dr. Steffen was the Recording Secretary on The Cincinnati Veterinary Medical Association’s Board of Directors for three years and a member of Business Network International for one year. Dr. Steffen was appointed to the WAVE Foundation Board of Directors in the fall of 2013 and recently resigned from the organization after holding the following positions: Executive Secretary (2 years), Trustee (2 years), Chair for the Resource and Development Committee (3 years), Co-Chair on the Nauti Nite Committee (2 years) and Committee Member (3 years), and on the David Fulcher’s Putt For Penguins Committee (3 years). Other associations that Dr. Steffen belongs to include The American Veterinary Medical Association, The American Holistic Veterinary Medical Association, The American Association of Feline Practitioners, and The Cincinnati and Northern Kentucky Veterinary Medical Associations. Aaron is a native of Newport, Kentucky. Having spent many years in human medicine, he has decided to spread his education in veterinarian medicine under the direction of Dr. G. Steffen DVM. 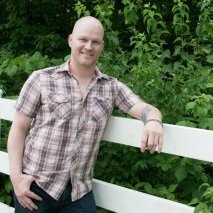 Aaron not only obtained a medical/legal secretarial certification from D. Russell Lee Career technology, but he also studied dance at Wright State University in Dayton, Ohio. Although he traveled many years performing, he decided to make medicine his main focus. Aaron has a 14-year young corgi/collie mix name Sarina, who often goes by fat mama! She has a gentle soul and loving spirit that will make anyone fall in love with her. Hannah Stone is a graduate of Anderson high school and the Live Oaks Animal Science and Management program. She graduated Anderson as a member of NHS (National Honor Society) and Live Oaks as a member of NTHS (National Technical Honor Society.) She is now attending Veterinary Technology training at UC Blue Ash to become a certified Veterinary Technician. She has a strong passion for animal care. At Live Oaks Hanna was also a member of the FFA (Future Farmers of America,) during her junior and senior year. She graduated Live Oaks with a Certificate of Career-Technical Preparation and a Certificate of Achievement in her program. With the Animal Science and Management program, Hannah has been certified in Pet First Aid, Adult and Child CPR and AED Standard First Aid, and she has completed OSHA’s 10-hour Occupational Safety and Health Training Course in General Industry Safety and Health. Hannah worked at Shar-Jo’s Pet Styling and later at Derbyshire Stables as a stable hand. She has volunteered at a Low Cost Rabies Vaccination Clinic where you met Dr. Steffen, whom she shadowed. Kelly Tyree has been a veterinary assistant for ten years. It has been her passion to work with animals ever since she was a little girl. She has had a love for cats for years. She has rescued, helped spay and neuter, and vaccinated stray cats before finding them a loving home. 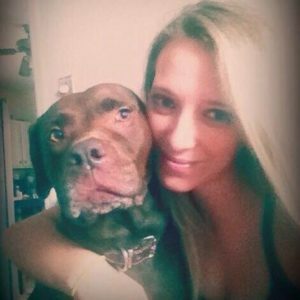 Kelly is a mother of three beautiful daughters that also have a love for animals. Kelly hopes that one day her children will share her same passion while working in veterinarian care. Kelly does have two cats and one dog that is part of her family. Kelly is excited to be living her passion alongside Dr. Gwendolyn Steffen. Vince is a native Cincinnatian and has always had a love for animals and that is shown through his 7 pets. Vince has 2 dogs, 4 cats, and a fresh water aquarium. He attended Northern Kentucky University and Cincinnati State but always struggled to find his true calling until he came to work for Dr. Gwendolyn Steffen DVM in February of 2015. 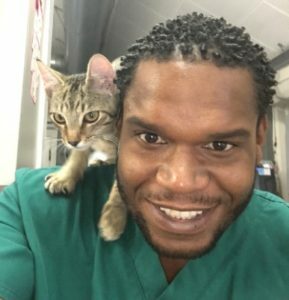 Vince has worked his way up from a Receptionist to a Veterinary Assistant and loves working with companion animals. He hopes to continue to better himself in the veterinary field. Laura Mason is a lifetime resident of Milford, Ohio and really enjoys working with Dr. Steffen because of the shared compassion of her and her staff. Laura has been a veterinary assistant since 1998! She is known as the resident cat lady due to her great love of cats. God granted her with a deep love and understanding of cats and she does her best to use this gift to the fullest extent. Laura currently has 6 cats at home and another 6 feral cats I care for that have taken up residency in my garage. 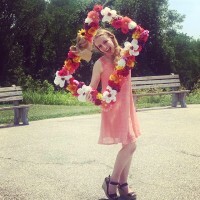 She wants everyone to know that she loves working with all animals, especially dogs, even though cats are her passion.